Mitsubishi L200 vs Nissan Navara | What Car? The versions we’re testing are called double cabs – the most popular choice of pick-up in the UK. That means both offer seating for five, as well as a load bay behind the cab. Sitting in the front seats, two tall adults have enough head and leg room in both trucks, although the Navara's front seats slide further back on their runners. 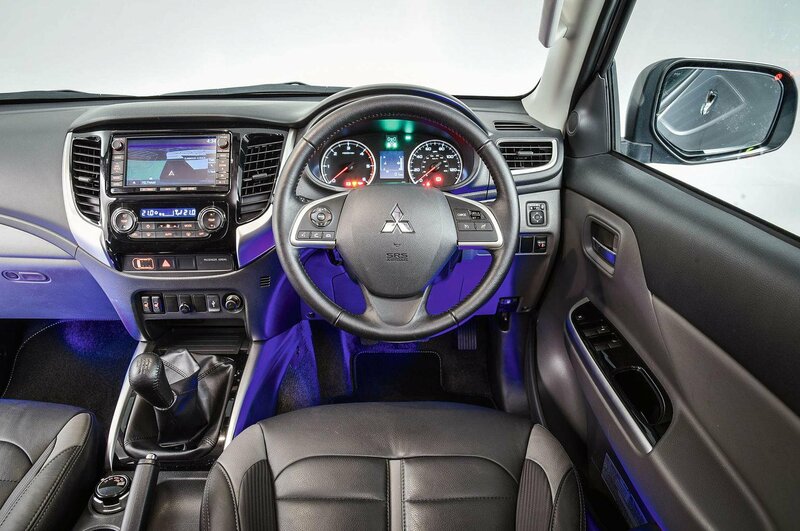 You sit quite high in both, even with the driver’s seats in their lowest setting, but there’s enough steering wheel adjustment to ensure people of all shapes and sizes can get comfortable. Both pick-ups offer decent forward visibility but a similarly restricted view out of their rear screens: each makes up for that by providing large door mirrors, though. 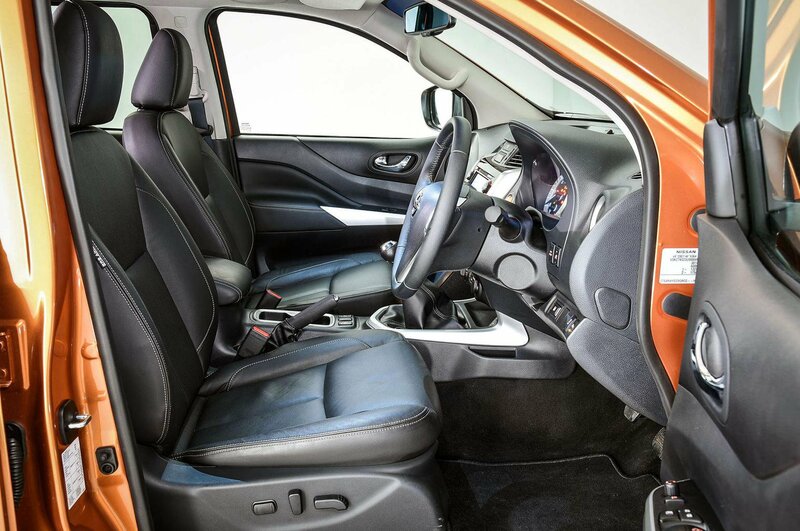 A couple of adults will be comfortable in the back of either pick-up, although the Navara is more spacious with better head, leg and shoulder room. The L200's rear floor is slightly raised, so passengers with long legs will find it less comfortable, especially on long-haul journeys. The Nissan just pips the Mitsubishi in the payload battle: it can carry a maximum of 1052kg versus 1045kg, and it has the slightly longer load bay. However, the L200 gets more practical hydraulic struts on its tailgate. It also matches the Navara for load bay width and beats it for load bay depth. The Nissan fights back with slightly wider access and a load bay that is closer to the ground, making it easier to lift heavy items onboard. The Navara beats the L200 for towing, too: it can pull a braked trailer weighing up to 3500kg, whereas the Mitsubishi can only manage 3100kg. It’s easier to forgive poor cabin quality in pick-ups, since they’re primarily designed to last, not impress. The Mitsubishi fills that brief; the plastics are hard and brittle in places, but they certainly feel well screwed together. 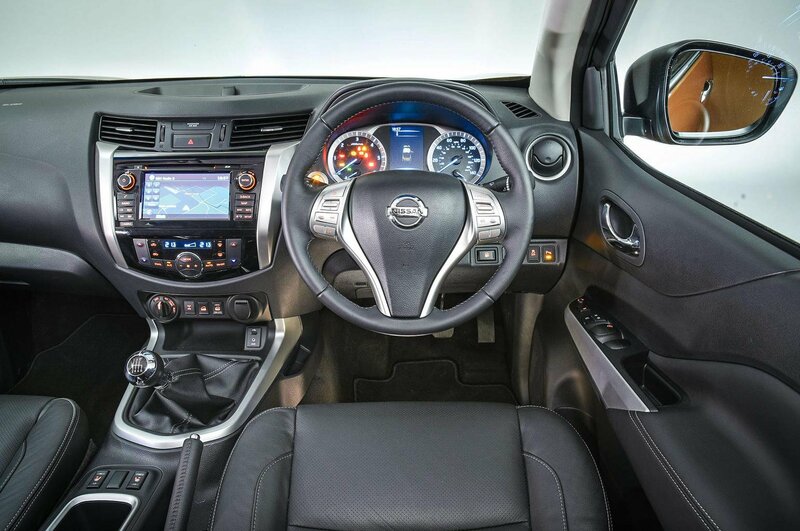 However, Nissan has taken a more car-like approach, with much of the Navara’s interior borrowed from more of its mainstream models, such as the Pulsar. Okay, it’s hardly luxurious inside, but doesn’t feel at all low-rent, either. Titan-spec L200s get a simple 6.1in colour touchscreen with a single rotary dial. The screen isn’t particularly high-resolution but it is simple to operate. The Acenta+ Navara’s monochrome-screened radio unit is even less advanced. It is decidedly basic, although it’s every bit as easy to use.